This Lenox Hill beauty is a six-floor townhouse with over 5,000 square feet of living space at 222-242 East 67th Street. Modern living space includes five bedrooms, four baths, one half bath, family room with wood burning fireplace, dining room, gallery, two well-fitted kitchens, staircase with skylight, large terrace, and loft with skylight. Extra closets, laundry room in unit. Building offers doorman, elevator, garage, swimming pool, gym, and roof deck. Listed for rent at $47,000 per month by Solow Residential at Solow Realty. A fully furnished Carnegie Hill coop offers three bedrooms, two baths, and an open layout with living/dining area leading to a terrace with open south facing views. Hardwood floors, modern furnishings, large windows, and decor perfect for a family with laundry in unit. Full service building includes doorman, elevator, bike room, laundry, and pets allowed. Rental listing for $25,000 per month by Rema Parachini at Stribling. Exquisitely renovated with designer Victoria Hagen, this four bedroom, four bathroom Carnegie Hill condo sits at 141 East 88th Street. Brand new chef’s kitchen with top end appliances, attached to family and dining through pocket doors which can be opened for a spacious airy feeling. All is happiness and light with large windows, light colors, high coffered ceilings, and design with clean, modern lines. Generously sized bedrooms as well as a den/library with wood-burning fireplace. Extra closet space and laundry in unit. Building offers bike room, children’s playroom, cold storage doorman, elevator, gym, and more. Listed for rent by Jeffrey Stockwell at Stribling for $22,500. An adorable studio sits at 408 East 78th Street. Large closet with overhead storage space, hardwood floors, two windows, and air conditioner. Extra storage is available in the building. Listed by Purnima Mahammed at Fenwick Keats Real Estate for $1,475 per month. Located at 1576 Third Avenue is this rent stabilized apartment in Carnegie Hill. Two room studio including built-ins for storage, recently renovated with separate kitchen and newly-tiled bath. Two windows, mirrored closet, high ceilings, and lots of light. Listing by D. Alex Andrejko at Best Apartments for $1,497 per month. This charming, sunny studio Yorkville apartment sits at 312 East 81st Street in a three floor pre-war walkup building with only six units. Large windows, hardwood floors, and shuttered kitchen area. Rental listing by Allan Glasser at Glasser Realty LLC for $1,550 monthly. The CPH Gilbert Mansion sits grandly in Lenox Hill at 57 East 64th Street. Seven stories covering 14,000 square feet and 18 rooms, this rare opportunity is available for a discerning renter. Perfect for entertaining and gallery styling, this mansion offers restored original details such as wrought iron work, fireplaces, woodwork, curved staircase, skylight with leaded glass, and floor to ceiling windows in many rooms. Located on the north side, which allows for more light. This is a once-in-a-lifetime opportunity listed for rent at Brown Harris Stevens by Paula Del Nunzio for $90,000 per month. Perfectly modern, this eleven room smart home sits at 118 East 83rd Street. With 7,200 square feet of living space including four floors plus an English basement, with five bedrooms and four baths. Recessed lighting, 13′ ceilings, clean lines, large windows, touch control automation for music and lights, as well as in-wall speakers in each room. Great room with marble floors and fireplace, gallery, open dining room, and eat-in chef’s kitchen with skylight and waterwall. An oak planked floor in this kitchen opens to reveal swimming pool. The second floor offers a massive terrace, fourth floor another terrace and balcony, and kitchen has a patio for over 2,100 square feet of outdoor space. Master suite encompasses the entire third floor while the fourth floor boasts a media room. English basement boasts its own chef’s kitchen and another bedroom for a “suite” effect. Elevator, garage, laundry room available. Listed for rent by Barbara Evans Butler at Stribling for $85,000 per month. With sleek lines and gorgeous views, this full floor penthouse boasts six terraces in the Trump Place Condominium located at 200 East 69th Street in Lenox Hill. Exceptional views from windows in every room, even the bathrooms, with exposures from all four sides. Four bedrooms, four baths, and one half bath are included in this furnished condo. Private elevator, elegant living room with hidden remote controlled television, integrated office area, and formal dining room. Windowed eat-in kitchen offers high end appliances and wine cooler. Oak hardwood floors, high ceilings, recessed lighting, built-in ceiling speakers, and unique artwork throughout the home. Master suite has private balcony, two walk in closets, large flat screen t.v., and spa-like marble bathroom with Jacuzzi tub and walk-in shower. Discreet laundry room and independent zoned air conditioning. White glove Trump Place condominium was built in 1991 and offers 24 hour doorman/concierge, gum, security, outdoor garden area, playground, rooftop deck, and premium services. Listed at Douglas Elliman by Victoria Logvinsky for $55,000 per month rent. Most affordable this week comes a large rental studio located at 328-330 East 95th Street in Yorkville. Large closets, lots of storage space, oversized windows, and recent renovations. Clean walkup building offers extra storage and is near the 96th Street train station. Listed for $1,525 monthly rent by Javier Ceja at JM Preston. Ideally situated in Yorkville, this 550 square foot condo sits at 333 East 86th Street near Central Park and the Museum Mile. Recently renovated with high ceilings, hardwood floors, new white kitchen, marble bathroom with skylight, and extra closet space. Building offers live in management. Listed for rent by Ray Vazquez at RV Realty for $1,550 per month. This third floor walk up studio is located at 1733 Second Avenue in Yorkville. Hardwood floors, separate pass through kitchen with new appliances, newly re-grouted and tiled bathroom, fresh paint, two large windows and exposed brick. Faces back of the building for noise reduction. Virtual Doorman and laundry in building. Listed at Eric Goodman Realty by Matt Goodman for $1,625 monthly rent. This Lenox Hill townhouse offers luxurious living with the benefits of a full service building. The Solow Townhouse sits at 224 East 67th Street in the heart of the Upper East Side. This newly restored townhouse with elevator offers six stories of living space with five bedrooms and four baths. Double height ceilings in the living room with fireplace, combined with tons of windows bring a light and airy feeling to this modern designed residence. Formal dining room next to the fully equipped chef’s kitchen leads to a large private garden. The full floor master suite includes a large private terrace. The Solow provides luxury accommodations such as private membership to the neighboring penthouse health club, as well as concierge, attended garage, and valet services. Listed for rent by Roger Erickson at Sotheby’s International Realty for $47,000 per month. Next on the list of incredible rentals comes this four bedroom, four bath Lenox Hill condo at 530 Park Avenue. With over 2,750 square feet of living space, this perfectly renovated twelfth floor home offers exquisite views. Featuring separated bedroom wings for ultimate privacy, the master suite includes expansive closet space, radiant heated bathroom floors, and Crema marble. The designer chef’s kitchen boasts top of the line appliances, granite counters, handcrafted cabinets, and wine cooler. Hardwood floors, energy efficient windows and individually controlled thermostat provide comfort and practicality. Laundry included in unit. Full service building with doorman, concierge, gym, kids’ play room, library, bike storage, and garden. Renting for $25,000 per month by Matthew Perceval at Sotheby’s International Realty. Dramatic views from floor to ceiling windows in the living room offer beauty and light in this three bedroom, three bath, and one half bath residence at 151 East 85th Street. The 2,760 square feet of living space are arranged in a loft-like floor plan with a huge corner living room and high ceilings. Custom eat in kitchen with rosewood cabinets and island, open space dining room, ensuite baths in each bedroom, as well as washer and dryer in the apartment. Located in The Lucida, which is a luxury full service energy-efficient building including elevator, fitness center, bike room, swimming pool, and live in management. Property listed for rent at Corcoran by Dennis R Hughes for $22,500 per month. On the top of the more affordable list this week comes a furnished Yorkville apartment located at 518 East 83rd Street. This cozy studio offered a separate kitchen with window, as well as a windowed bathroom. High ceilings provide a spacious feel in this. Northern exposure home. Rental listed by Micheal Collopy at Charles Rutenberg for $1,550 per month. This Carnegie Hill studio sits at 121 East 97th Street. This charmer offers exposed brick walks, French doors, corner kitchen, and live in management. Offered for rent by Gail Siller at Prince. Real Estate for $1,550 monthly. A Yorkville one bedroom comes next, located at 312 East 93rd Street. Parquet hardwood floors, roomy renovated separate kitchen, closet space, and a windowed bathroom make up this one bedroom apartment home. Live in management and pets are allowed. Renting for $1,595 per month with listing at DSA Realty by Andrew Saunders. This week’s list of most and least expensive rental properties on the Upper East Side comes from information obtained through StreetEasy. At the top of this week’s list of most expensive rentals on the Upper East Side sits this luxury loft-like apartment in The Lenori, at 26 East 63rd St, just a block from Central Park. A 1901 Beaux Arts design, this condo offers 2,600 square feet of living space including a 47 foot living/dining ar4ea. Oversized windows bring in sunshine and views from each room. Modern design encompasses the three bedrooms, two baths, with master suite that includes den/sitting room, marble bath, and walk-in closet. Wood paneling, 11-foot ceilings, central air, and chef’s kitchen with window and top-of-the-line stainless steel appliances as well as breakfast bar. Full service building, includes doorman and elevator. Offered for rent by Reba Miller at CORE for $23,000 per month. This townhouse on a historic landmark, tree-lined block sits at 231 East 62nd Street. With over 4,000 square feet of living space, this four bedroom, five bath home offers pre-war charm with hardwood floors, four wood-burning fireplaces, chandeliers and sconces, French doors, and a curved staircase. Plenty of closet space, marble baths, through wall air conditioning, terrace, roof deck, two staircases, garden, and utility rooms. The English basement includes a study, laundry, studio and kitchenette. Listed by Charlie Attias at Corcoran for rent of $21,000 monthly. Light and charm embody this penthouse at 4 East 65th Street in Lenox Hill. A great room with solarium with motorized shades and fireplace leads to the expansive private roof deck. A formal dining rooms opens up to a second, southern-exposure terrace. Three bedrooms, three full baths, hardwood floors, classic built-ins for storage, walk in closets, open kitchen with breakfast bar, central air conditioning, and oak staircase give this seven room home character and comfort. Washer and dryer in the unit. Building offers elevator, and live in management. For rent listing at Manor Management by Simon Shamilzadeh for $18,500 per month. This adorable and affordable Yorkville rental is situated at 342 East 81st Street in an immaculate building. Completely renovated, this studio apartment had hardwood floors and arched doorways. Building is off of Second Avenue on a low-traffic street lined with trees. Live in management and laundry in this four story building built in 1920. Offered for rent by Patricia Gaughran at High Line NYC for monthly rent of $1,432. A one bedroom walk-up apartment sits at 217 East 88th. High ceilings, windows in every room, recently renovated kitchen and bathroom with shower. Quiet building and pets are allowed. Rental listing at VW Realty by James van Wickler for $1,540 per month. This charming studio apartment offers a fireplace at 1369 First Avenue. Exposed brick wall, hardwood floors, plenty of light, and separated kitchen with decent amount of cabinet space. Two flights up in a five floor walk-up which offers laundry on site. Property listed for rent at $1,575 per month for a two year lease by Elizabeth Hessler at JM Preston. This week’s list of most and least expensive rentals comes from information obtained by StreetEasy. This sleek, modern three bedroom condo is located at 205 East 59th Street in Lenox Hill. An incredible, full floor penthouse unit offers three balconies, three bathrooms, and all around panoramic views of New York. An oversized 1150 square foot terrace includes stainless steel grill. Modern kitchen includes stainless steel appliances including dishwasher and two ovens, glass front cabinets, pocket doors, and an amazing view from over the sink. The living area features a double sided wood burning fireplace and hardwood floors. Three skylights, generous walk in closets, and an in unit laundry are all part of the functionality. Building offers doorman, concierge, elevator, live-in management, gym, and available storage. Offered for rent at Manhattan Skyline for $35,000 monthly rent. Another contemporary offering is a Lenox Hill condo in The Laurel, situated at 400 East 67th Street. This pristine three bedroom apartment contains three baths and one half bath. This corner home is flooded with southern and western sunlight through massive windows which are LEED certified for energy efficiency. Chef’s kitchen contains high end stainless steel appliances, wine cooler, marble counters and frosted panel cabinets. Master suite bath features heated marble mosaic floors, marble walls, Zuma tub, and rain shower. Second and third bedrooms also have en suite baths. Building amenities in The Laurel are full-service doorman, concierge, live-in super, fitness center, swimming pool, children’s playroom, garage parking, elevator, and storage available. Listed for rent by Adam Rothman at Douglas Elliman for $18,000 per month. Offering breathtaking panoramic views is this three bedroom rental at 525 East 72nd Street. Seventeenth floor living room with dining area, formal dining room can be used as den or library, lots of closet space, washer and dryer in unit, three baths, one half bath, and second kitchen are all benefits of this incredibly luxurious high rise. Year round rooftop pool and health club, 24 hour attended garage, doorman, concierge, and attended gatehouse. Property listed for rent by Solow Residential for $16,000 per month rent. This affordable Yorkville studio sits at 212 East 83rd Street. Offering parquet-style hardwood floors, air conditioning, mini kitchen area, elevator, and laundry in building. Listed at Lettieri Realty by Michael Dean for $1,300 per month rent. Available for rent is this renovated studio with separate kitchen area is situated between 1st and 2nd Avenues at 314 East 78th Street. Separate kitchen area with full sized appliances including dishwasher, hardwood floors, and good closet space are all benefits of this studio apartment. Renting for $1,575 per month at Charie Properties by Upper East Side. Located in a charming pre-war building is this studio apartment at 126 East 83rd Street. High ceilings, hardwood floors, generous closets, and incredible location make this charmer a must-see. 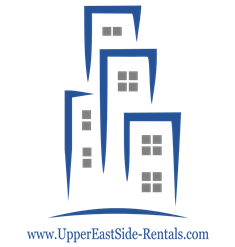 Property listed for rent by Christine Mariani at Urban Compass for $1,595 per month. At the top of the most costly list is this loft rental on the Upper East Side, located at 151 East 85th Street. With three bedrooms and three baths, this apartment offers 1,760 square feet of living space. California open kitchen, ten foot ceilings, sun drenched windows, terrace, and views of the Empire State Building. Washer and dryer are in the unit. Building includes doorman, elevator, gym, bike room, live-in management, and swimming pool. Listed at Corcoran by Robb Saar for $17,000 per month. This luxurious apartment in the heart of Lenox Hill sits at 200 East 62nd Street between Second and Third Avenues. Three bedrooms, two baths, and one half bath grace this 1,980 square foot modern apartment with luxurious amenities. Located in this 30 story building erected in 1967, with five apartments per floor. A spacious windowed kitchen with dishwasher and top of the line appliances. High ceilings with crown moldings, as well as oversized master baths and closets are a plus. The Wellington offers concierge, doorman, parking elevator, fitness center, live-in management, and package room. Listed for rent by Zach Padilla at Windsor Property Management for $14,000 monthly with no fee. Next is a truly unique rental home with stunning restorations located at 45 East 80th Street. In one of New York’s most impressive residential buildings, this two bedroom, one bathroom condo has been completely restored using the finest Italian appliances, designs, and finishes. High ceilings, hardwood plank floors, entirely stainless steel kitchen, built-ins, incredible lighting, and a staggering stone bath bring craftsmanship beyond compare to this rental with a washer and dryer in the unit. The prestigious building offers an elevator, concierge, and doorman. Offered for rent by Rona Mann at Halstead Property for $13,500 monthly rent. At the top of the list of most affordable rentals comes this studio at 500 East 73rd Street, just off of York Avenue. A charming second-floor walkup with separate kitchen area. Heat and hot water are included with rent. Building offers doorman, garage parking, gym, swimming pool, elevator, and pets are allowed. Listed by Elena Barskaya at Barskaya Group Real Estate for $1,475 monthly rent. This spacious Lenox Hill studio is located at 1164 First Avenue. Separate kitchen, hardwood floors, and two windows in the living area. Close to many attractions. Offered for $1,495 monthly rent by John Spalding at Spire Group. An adorably furnished studio apartment is available short term at 59 East 80th Street. Full sized kitchen with dining area. large cabinet space and hardwood floors. Sleeping area is separated. Ideally located between Park and Madison Avenues. Listed by Paul Robertson at Oxford Property Group for $1,500 monthly rent.